Ever wondered what it would be like to have a cable that worked with all your devices, connected instantly and securely, never broke and provided the ultimate in charging speeds? Well, look no further, because VOLTA cables does all of that (and more) for just a few bucks over a standard cable affair. 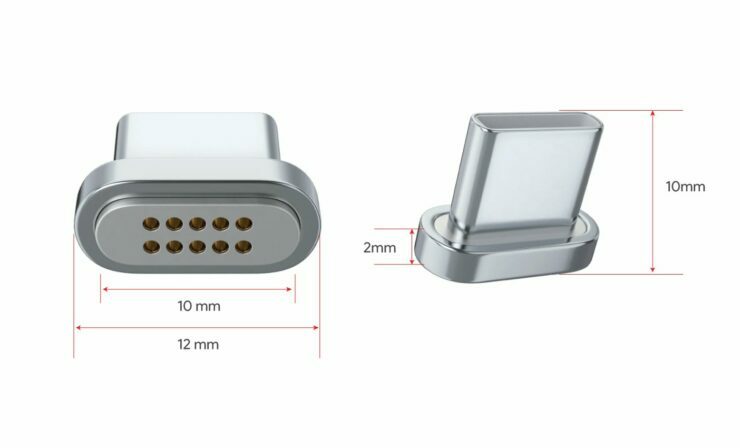 One of the most beloved features of the MacBook that Apple recently took away was the MagSafe connector. 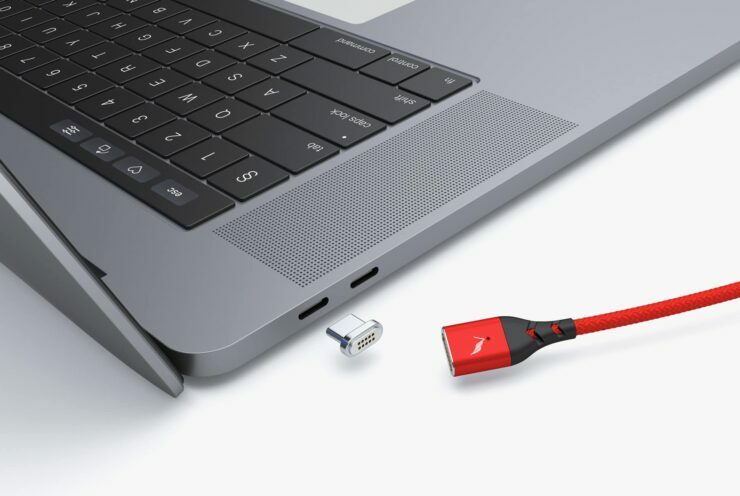 Well, with VOLTA cables, you can bring that back not only for your MacBook but for pretty much any other Apple or Android device you own as well. And the best part? 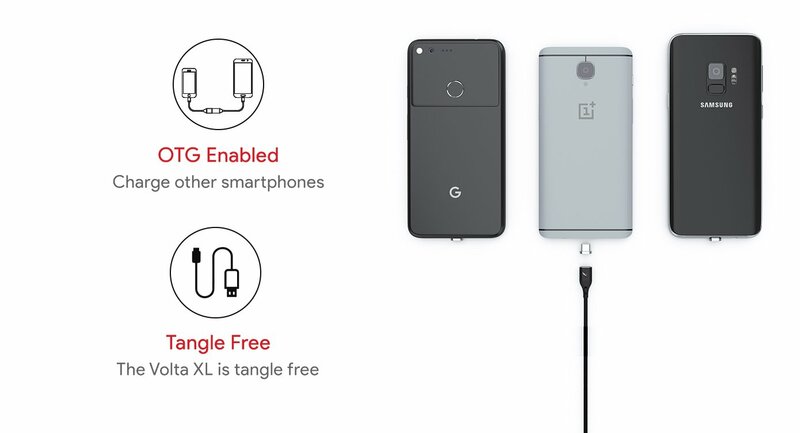 You would need only one cable for pretty much all uses. 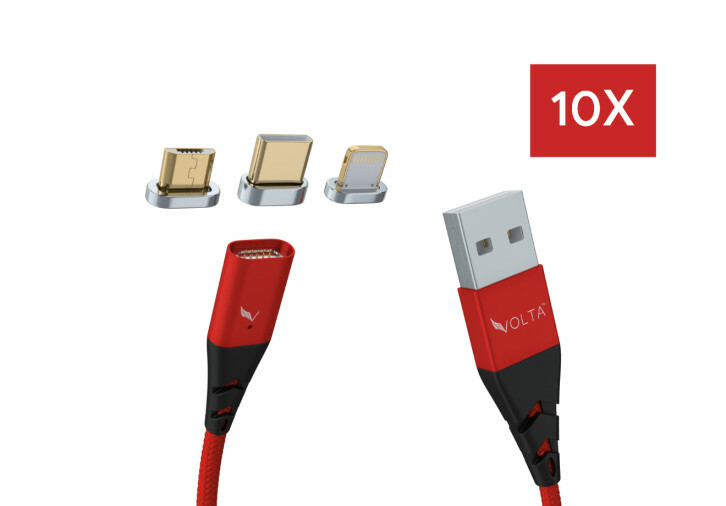 The VOLTA XL cable is a monster in design and construction quality and features swappable tips for lightning, micro USB and USB-c connectors. The XL is even able to power MacBooks and laptops (since it supports PD) while as the normal cable can power pretty much everything else. It is made using the highest quality materials and features an unbreakable guarantee. If a VOLTA Cable breaks on you, you are protected by a no-nonsense, no questions asked, lifetime warranty. 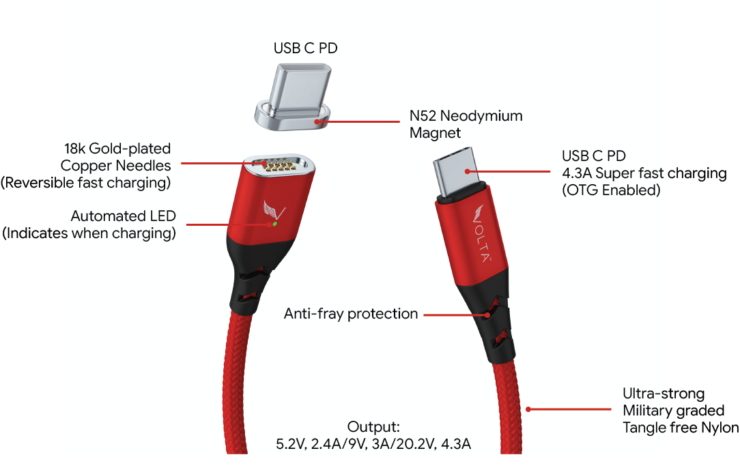 All the magnetic tips are universal in nature and work with every VOLTA cable and best of all? they are all reversible! OTG functionality is also included for sharing power between devices (or Data for that matter). The magnetic tips use powerful magnetic N52 Neodymium magnets that are housed on top of a military grade nylon tangle-free cable. The VOLTA XL can deliver up to 87 Watts of power for your Macbook Pro, which is an absolutely insane amount for such a small cable to be able to handle. It even features an LED to let you know the charging status of your Macbook. This is truly the one-cable-to-rule-them-all and will revolutionize the way you handle cable management for your multiple devices. All you need is to buy tips for all your smartphone and laptop needs and simply carry a VOTLA XL cable to go along with them. Ethics disclaimer: This is a sponsored, paid-for post. We do not receive any commission for sales.